"This was a wake-up call to get me back to being extraordinary." “Hands down the most powerful experience on leadership communication." "Never in my professional career have I been able to think more about myself, how I sell, and what I need to do to get better." "Today I was given the roadmap to unlock my potential. Getting outside my cofmort zone was critical for my future growth. Let's go!" "I never thought a one day session could provide such a noticeable transformation in our team's confidence, approach and presentation." Interactive, inspiring and entertaining…. this is designed for executive leaders, upper management teams and organization departments ready to learn the power of effective message delivery and the impact of becoming dynamic presenters. We’ll take your team and in one day we’ll we’ll show them a fresh new spin on leadership. It’s a career changing experience centered around communication, presentation, branding and bonding and your group will rave about it. We engage them in the importance of influence through real communication. We coach them on building an effective “story” that promotes the brand and while emphasizing the importance of selling themselves through a real connection with the audience. How to present? How to sell? How to separate from the pack? How to promote a professional and personal brand that work together? We’ve got it covered. Small team groups greatly benefit from engaging exercises that create team unity and develop a winning culture that shows people for their strengths as professionals and amplifies their value to teammates. When a CEO says “our sales team and senior management were awestruck,” you know you’ve got something. Now its your turn. Audiences say time spent was “powerful and thought-provoking” and “impressive beyond expectation.” This half-day seminar is a smaller version of the full-day workshop, yet designed for a group as large as you want to assemble. Informative and inspirational, groups will be feverishly taking notes for fear they’ll miss a key takeaway as they learn the critical importance of authentic storytelling and how to separate brands and people from a crowded field. Topics include executive presence, influencer status, the keys to effective public speaking and presenting, and proven ways to navigate today’s new world media. There will be a few interactive surprises along the way that keep the audience you assemble on the edge of their seats. As one audience member said on the way out the door, “anyone who attends will leave feeling ten feet tall.” That’s the high praise we aim for. Three hours moves fast, and you’ll be left wanting more. "Amazing. Calculated. Professional and Exciting!" Golf Changed My Life, What’s Your Story? Learn to become a more dynamic speaker. Learn the keys to being embraced and promoted through the media. Learn to present yourself as a more powerful brand that builds a following. Kann Advisory believes that consulting shouldn’t be about a how-to template or handbook. So we won’t just consult, we’ll connect with the goal of building amazing results around people’s personal strengths. You’ll get value through compassion, conviction and motivation based on years of experience that helps you get where you want to go or where you think you probably can’t. 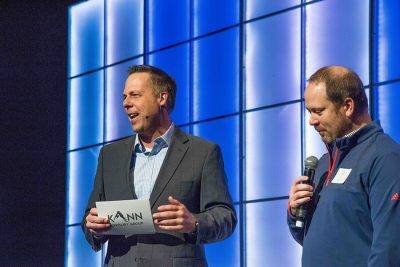 IF your goal is to get noticed for the right reasons, reach a new career level or become an industry leader with the tools to present a powerful message, its time to invest in yourself and let Kann Advisory show you the way. 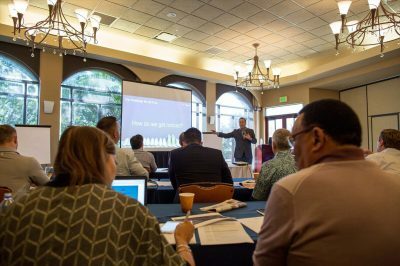 “Present to Win” is a webinar series presented by Kraig Kann and Kann Advisory Group that allows you a front row seat to proven information that companies and organizations pay thousands for. 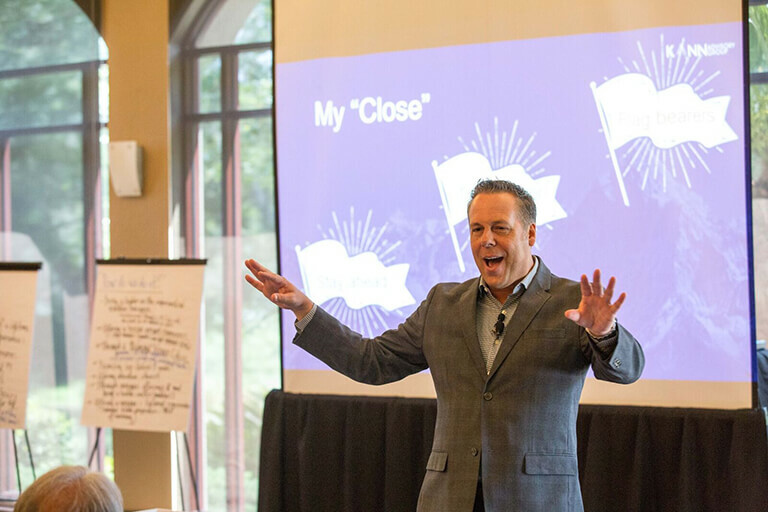 Kraig has canvassed the country delivering keynotes, workshops and seminars to corporations and athletic organizations on the art of influence though effective communication. Through this series, he’ll arm you with the skills and mindset to engage and empower your next audience. 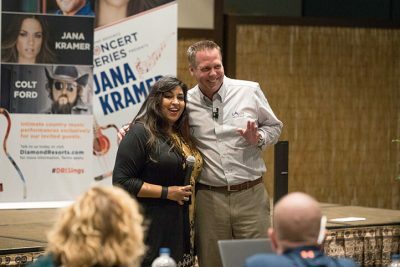 Kraig’s seminars are often “live” which allows for real connection and audience interaction that will surely give you the tools to become your best speaker and a presenter that gets other people talking! "Kraig brought an energy and passion that captivated the room and kept our employees engaged with his message. 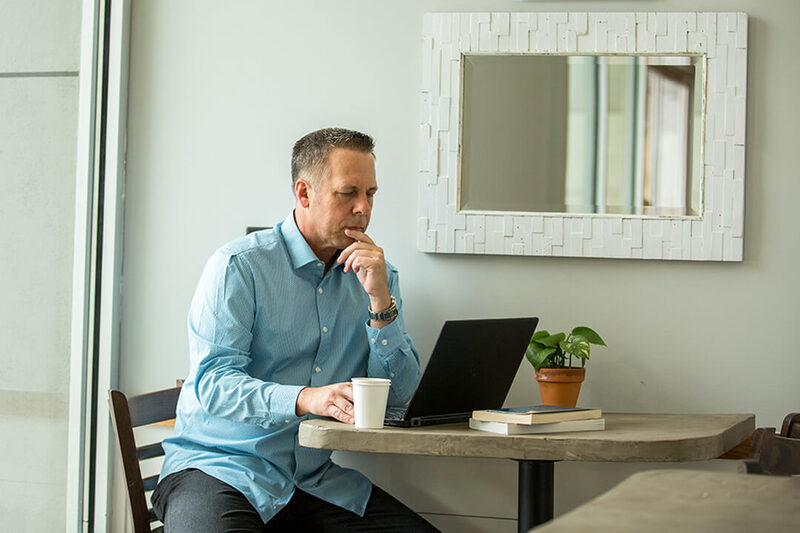 Thanks to Kraig’s message, our consultants know that it is important to establish an emotional connection with our clients. 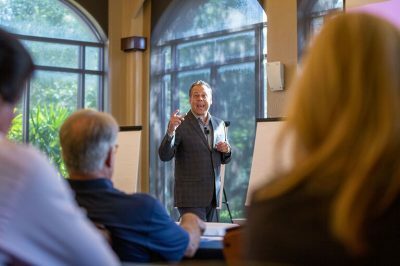 I would invite Kraig to speak again at our company functions, as his message is timeless and truly helps develop our people into world-class consultants!" "Throughout his career, both at The Golf Channel and the Ladies Professional Golf Association (LPGA), Kraig proved that he is the consummate professional committed to a quality body of work. His communication skills and influence to deliver a message have always proven effective. Personally, I know that Kraig would serve well as an Ambassador to any organization or company engaged with his services." “Not only does Kraig possess valuable experience in executive communication and strategic marketing, his dynamic delivery and emphasis on storytelling and branding sets him apart from anyone I’ve seen present like this in a corporate forum. He’ll be back and I’d recommend you allow him the stage in front of your team as well." "Kraig’s session was a highlight of our program. 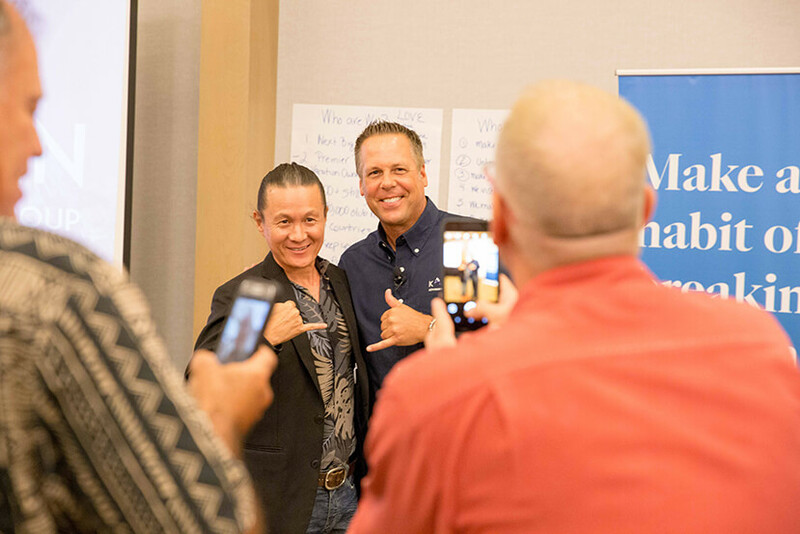 He captured and inspired the audience with a dynamic and engaging presentation, reinforcing the power of influence and the art of personal branding. 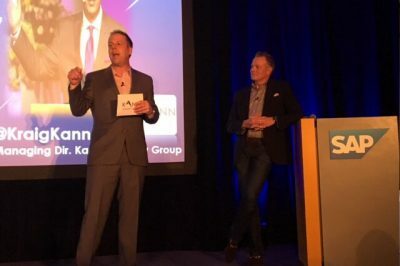 “Creating that emotional connection" in communication resonated powerfully with our team." 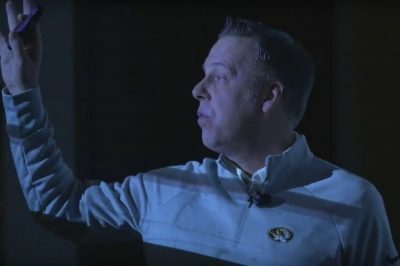 "As a public speaker, his attention to detail and preparation were incredible and always resulted in a delivery of messaging that exceeded our expectations. 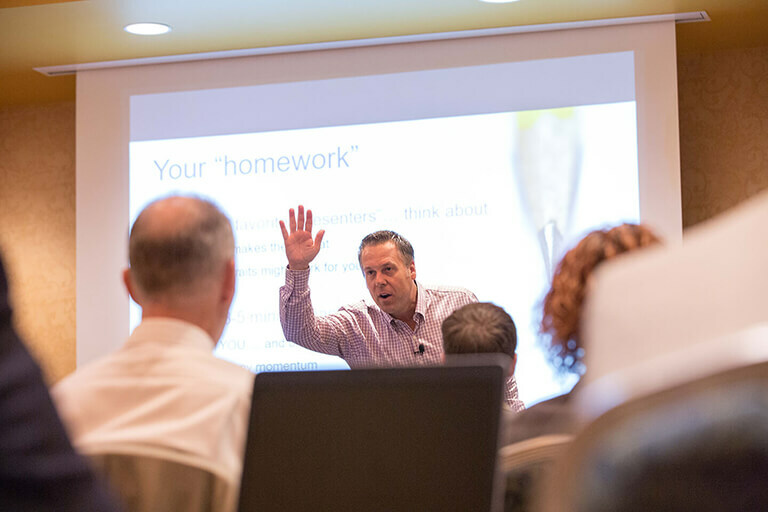 Kraig is particularly gifted in facilitating conversations, putting people at ease, and engaging an audience." 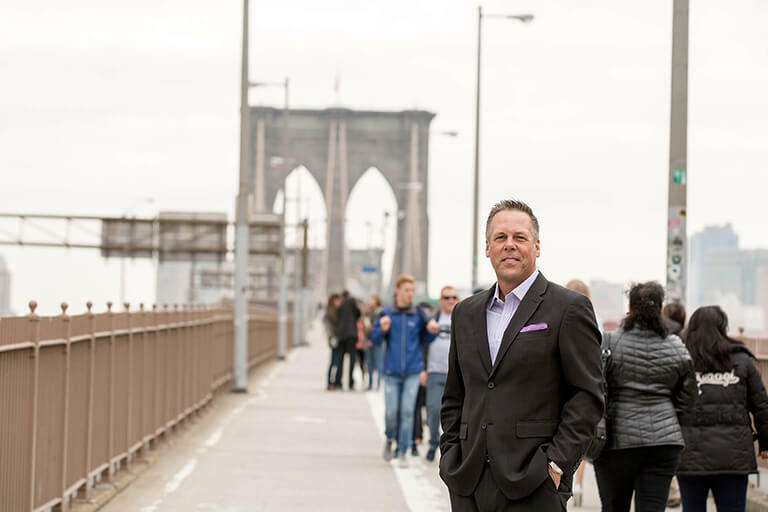 "Kraig is a consummate marketing and communications professional, and among the most connected people in my network. With a heap of passion, care and perfectionist ways, he uniquely combines strategic thinking with tactical execution. He is an “idea factory” rooted in programming that is specific, measurable, attainable, realistic and timely." "As the television play-by-play announcer for the Los Angeles Angels, I spend every day in front of a microphone, but I haven't given that many speeches. So, when I was asked to give a big speech, my first call went to Kraig. He put me on the right path and gave me a system that was easy to implement. The reaction I received that night was better than I could have ever imagined." As former lead anchor and studio host for NBC Sports’ Golf Channel, Kraig attained his lifelong dream of becoming a network broadcaster. 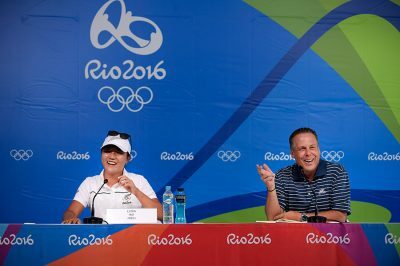 He then progressed to Chief Communications Officer for the LPGA where he was part of a dynamic leadership team that raised the organization to new levels of prosperity. Today, he is a successful entrepreneur mastering his own brand. 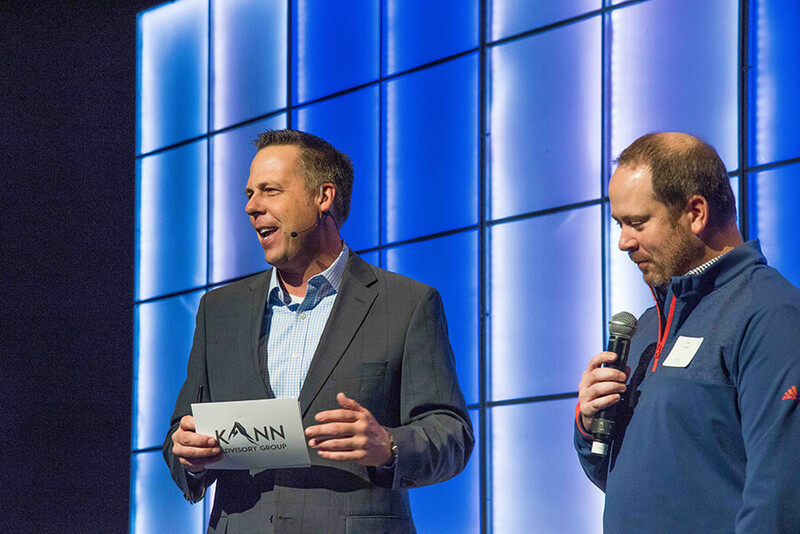 Kraig founded Kann Advisory Group in 2016, making good on a goal of managing his own business on a belief that the definition of success would be realized by sharing his experience and delivering value to others. A background of C-suite strategist and media entertainment positioned him as a unique voice delivering custom workshops, seminars and keynotes focused on leadership, message delivery and personal and professional brand development. Thought leadership offered in his blog has contributed to attention from PR News, Sports PR Summit and Forbes, who have identified him as a keynote speaker, featured industry panelist, communications council member and content contributor in areas of public relations, brand marketing, public speaking and strategic communications. He remains relevant in sports broadcasting, hosting weekly shows on SiriusXM PGA Tour Radio and serving as a faculty member in the Dan Patrick School of Sportscasting at Full Sail University in Winter Park, FL.